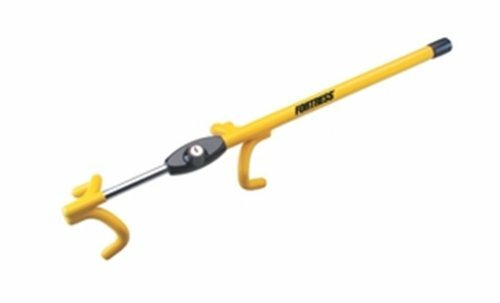 Master Lock Fortress 4-Hook Steering Wheel Lock is designed to provide protection to the vehicle from theft. This lock features four hooks and withstands multiple steering wheel cuts. It is easy to install and is corrosion resistant.